The Create Me boxes from Andersen Furniture are a series of boxes made of oak in various sizes, in which a wide variety of things can be stored. The boxes are available in different sizes. Depending on the size the box has 1, 2 or 4 compartments inside. That way, jewellery, souvenirs, and other bids and bobs can be kept open. The special detail in addition to the compartments are the Create Me lids for the boxes, which come in different colour shades fitting any interior style. They are available separately and flexibly interchangeable. Product view of the Create Me Box 6 x 12 cm designed by the label Andersen Furniture made out of oak. 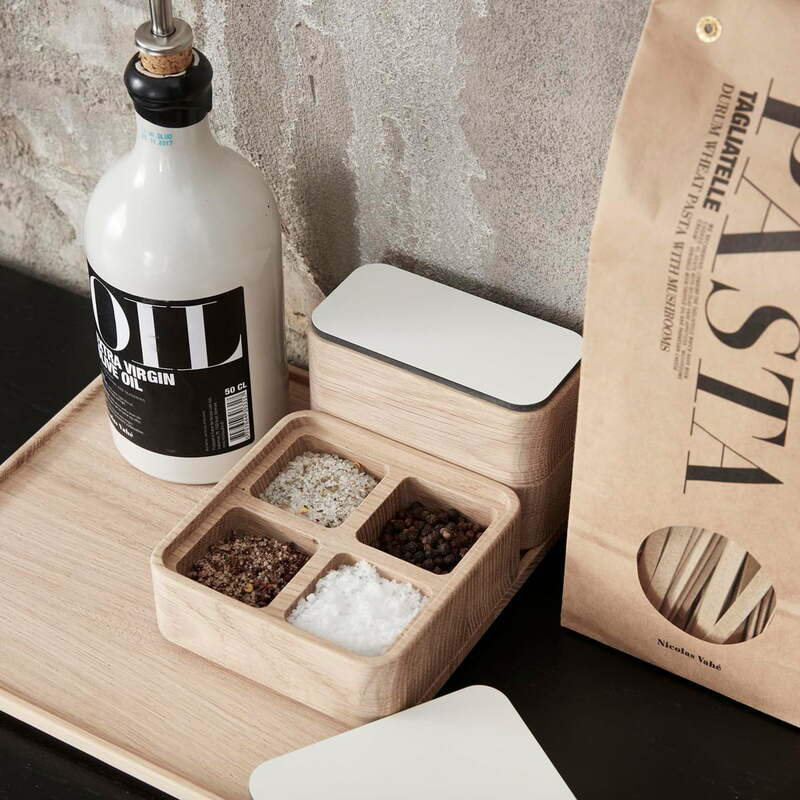 The Create Me Box with one compartment is made of oak. 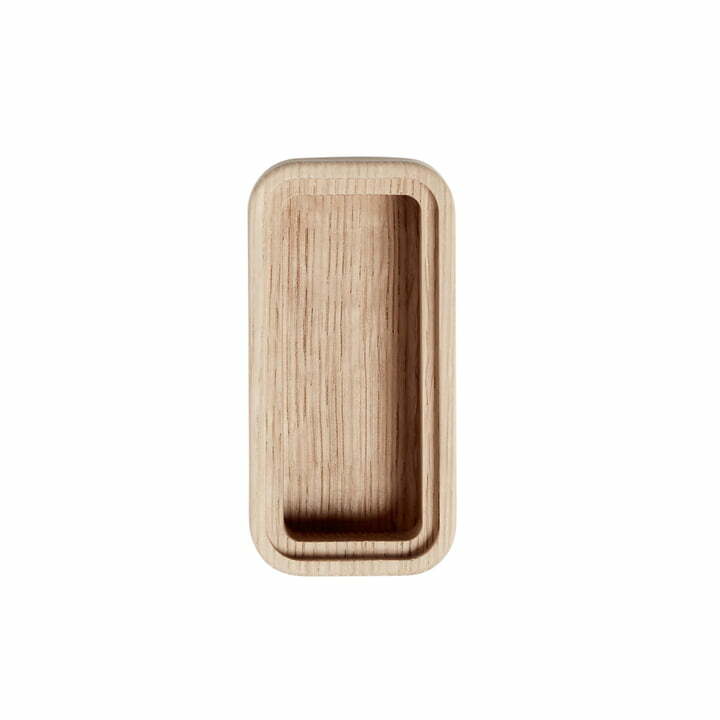 Product view of the Create Me Box 12 x 12 cm by the label Andersen Furniture made out of oak. 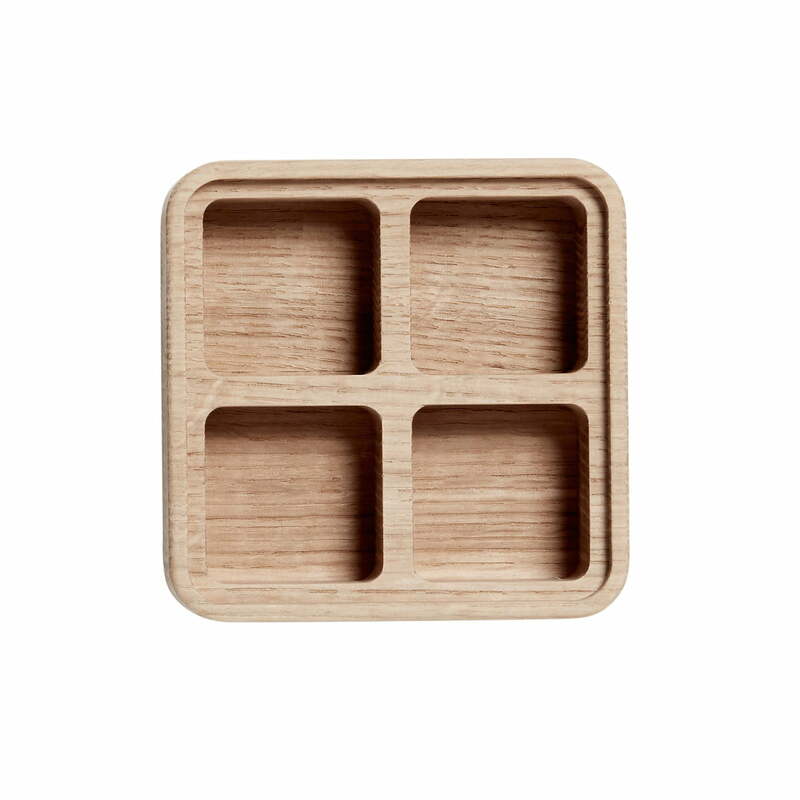 The Create Me Box with four compartments is made of oak. 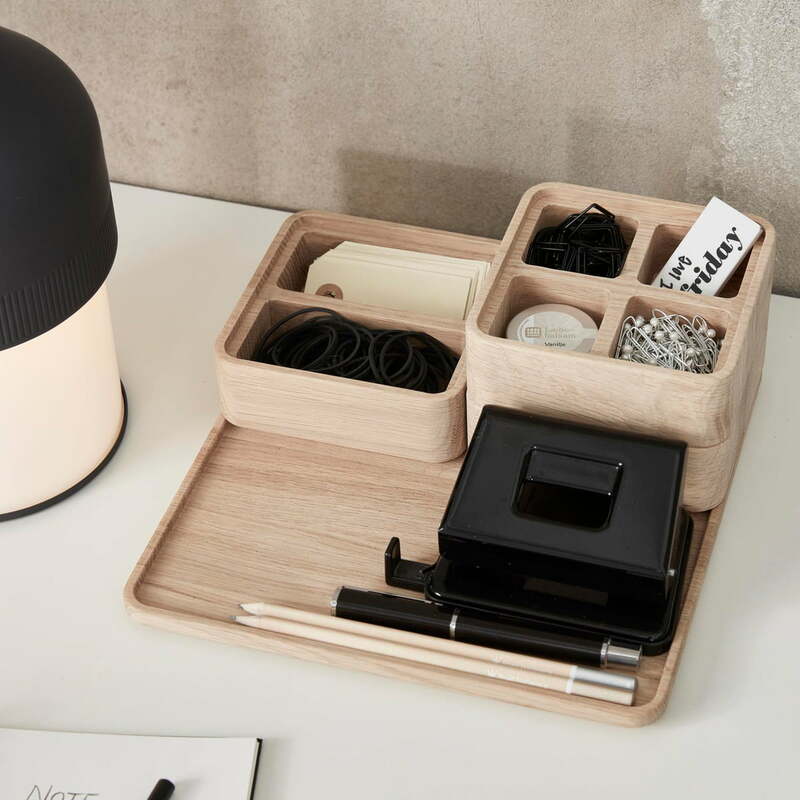 The Create Me boxes from Andersen Furniture are a series of boxes made of oak in various sizes, in which a wide variety of things can be stored. Matching lids are available. Ambience image of the Create Me Collection by Andersen Furniture. Standing next to the sofa make the boxes with lid are perfect for snacks and small treats. Ambience image of the Create Me Collection by Andersen Furniture. 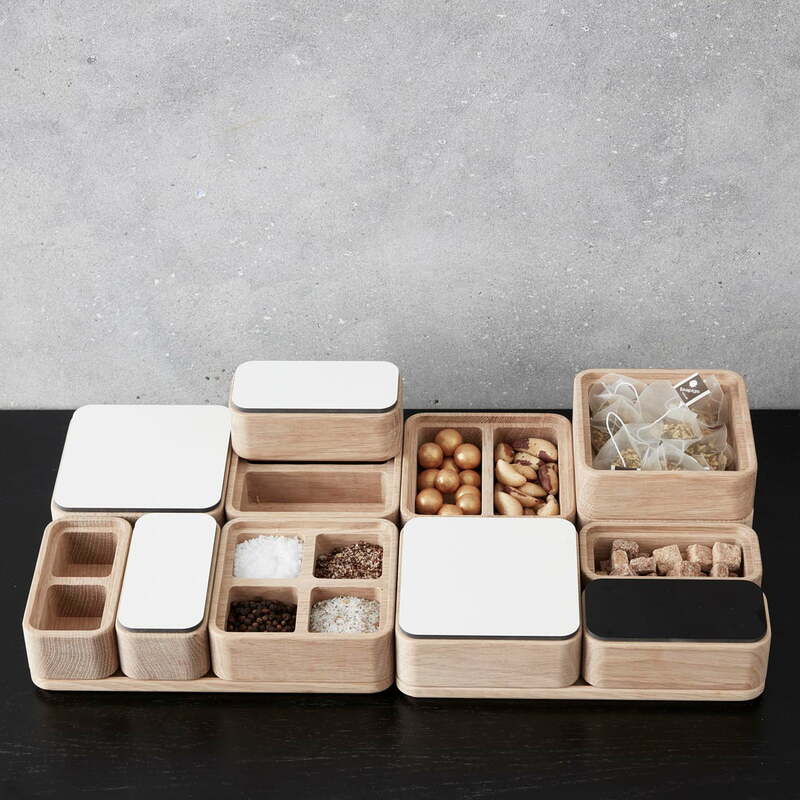 In the kitchen, especially the tray and the box with four compartments is useful for the storage of spices. All products of the Create Me series are made of oak wood and are available in various finishes. 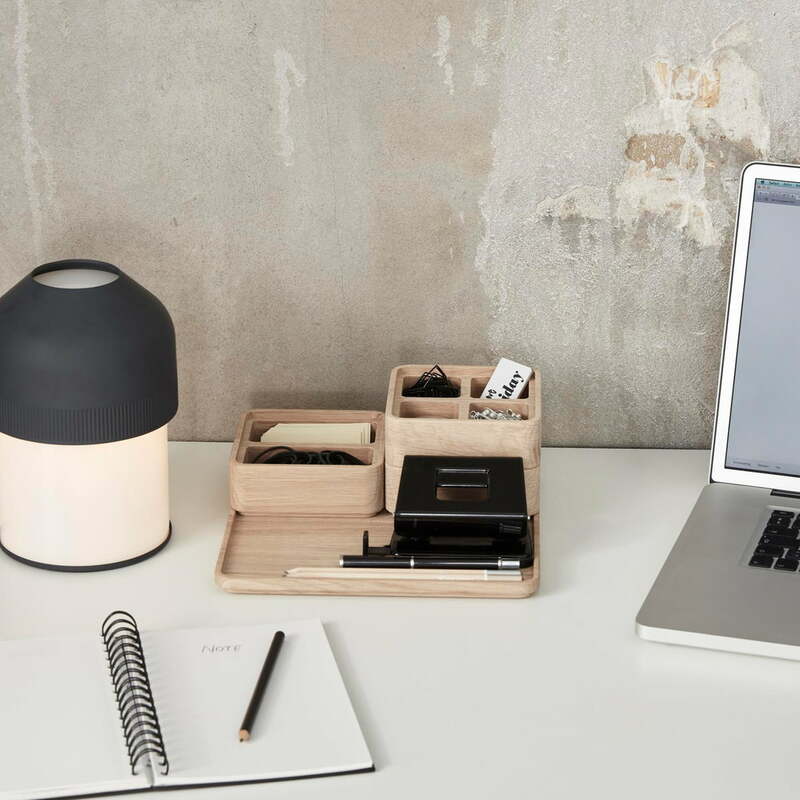 The products fit together and complement each other in form, colour and function. Ambience image of the Create Me Collection by the brand Andersen Furniture. 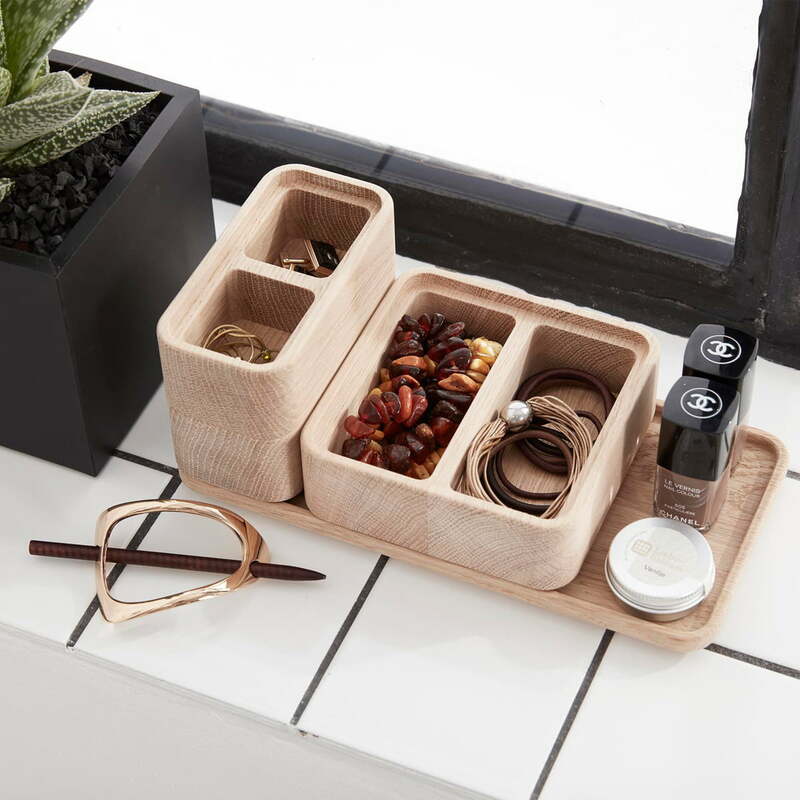 The trays and boxes are ideal for cosmetics and accessories in the bathroom. Ambience image of the Create Me Collection by the brand Andersen Furniture. The tray and the boxes in different sizes ensure order and tidiness at the workplace. Ambience image of the Create Me Collection by Andersen Furniture. Here you can see the boxes 6 x 12 cm with the appropriate covers and the tray from the collection.